Kenzie and her parents are part of a small skeleton crew on Sanctuary, a space prison for superpowered teens run by Omnistellar, the most powerful governing corporation. As a citizen of Omnistellar, Kenzie has been taught to follow corporate policy without question. But when the prisoners take her hostage as part of a revolt, she is forced to see the darker side of the corporation. Her beliefs are further challenged when ruthless aliens attack the station and she must work with the prisoners to survive. 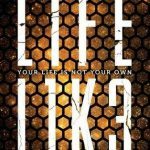 Lix has crafted a well-developed world where most government activities have been privatized and anyone not working for a corporation risks falling victim to crime and destitution. 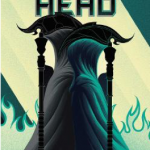 The morality of a system that enforces the have and have not divide creates an inner turmoil for Kenzie that runs throughout the novel, adding a layer of complexity to the book. The fast paced story is filled with intense action scenes but never neglects the character development. 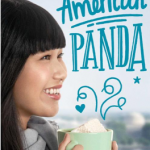 The characters are diverse, each with their own unique voice and place in the story. 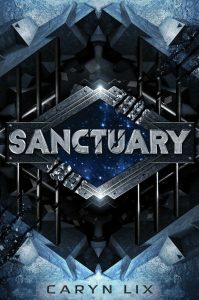 Fans of The X-Men, Alien, and Nyxia will find Sanctuary hard to put down. 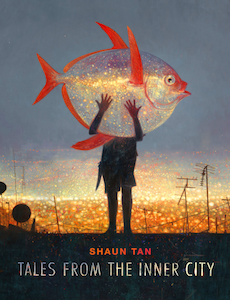 Arthur J. Levine Books/Scholastic Inc.
Shaun Tan has created another wonderful collection of imaginative stories and artwork, this time illustrating the intersection between animals and urban settings where they are rarely found. Stories vary from the colorful tale of a swarm of butterflies landing on people during lunch hour, to the magical experience of a two year old who sees horses running on the freeways but has no language to explain it to her parents, to the whimsical description of alligators living on the 87th floor of a skyscraper. Each story or poem is accompanied by artwork that illuminates the narrative action; even the story index is depicted with sillouette drawings of animals rather than a standard table of contents. The tales told in this book illustrate concepts of loyalty, family bonds, honesty and imagination as set against the stark reality of city life. 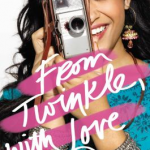 Teens who appreciate the magical realism of authors like Anna-Marie McLemore and Isabel Allende, the poems of Runi Kapur, or expressionist and impressionist art will be drawn to this lovely book. Plucked from their typical American lives in Denver and Iowa and transported to a distant family internment camp in Texas, Japanese-American Haruko and German-American Margot live their lives enclosed behind a barbed wire fence patrolled by armed guards. Movie nights, football teams, and swimming pools cannot disguise the prison they live inside while World War II rages outside. The girls form a tentative friendship which slowly blossoms into something more as they dream of a life together after the war. However each has a father with conflicted allegiances, and they both fear their fathers’ actions will shatter their chance to ever return to the life they once knew. 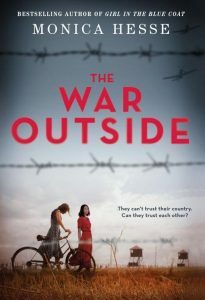 Hesse deftly weaves meticulous historical detail of the real-life Crystal City Internment Camp with the heart-wrenching story of two teenage girls who find themselves “the enemy” in their own country. Haruko and Margot are both complex characters and completely relatable as teens struggling to survive while their families and world crumble around them. 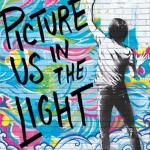 Told through their poignant dual points of view, the compelling narrative thoughtfully explores the complexities of a dark period in American history while raising thought-provoking and timely questions about injustice and racism. Detailed historical notes provide authenticity to many events included in the story. Hand this to fans of Between Shades of Gray by Ruta Sepetys and What the Night Sings by Vesper Stamper. Four-Four-Two by Dean Hughes is a good choice for a read-alike with a male protagonist.